The decision to purchase commercial property for your growing Santa Rosa business isn’t one to be taken lightly. It’s also a decision that should fill you with a lot of excitement, after all, you’re taking a big step that will bring your enterprise to the next level. The commercial property that you purchase in Santa Rosa will help you retain clients, attract top talent, and last but not least, give you room to expand your daily operations to meet the needs of a demanding market. The first step in buying a commercial property in Santa Rosa isn’t to start shopping around on commercial real estate sites. Neither is it driving around town looking for properties with a “For Sale” sign out front. That’s putting the cart before the horse, as they say. The first step in your commercial property journey is to secure financing, which isn’t quite as easy as stopping by the bank. Keep reading to discover some common mistakes entrepreneurs in Santa Rosa make when seeking commercial property financing, then contact North Bay Property Advisors to learn how we can help from start to finish! That’s right, a real estate agent isn’t the only professional you’ll need to hire when seeking commercial property financing. An experienced commercial real estate attorney will help you negotiate the terms of your loan and make sure you’re legally protected before signing any paperwork. The first thing a bank wants to see when evaluating your application for commercial property financing is a plan for how you’re going to use the money. If you don’t have a detailed business plan, put your application on hold or reevaluate your potential sources for financing. Lenders don’t want to be the only people investing in your business. 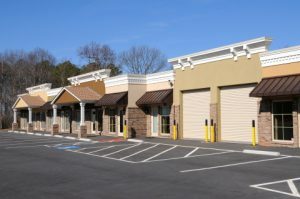 When seeking commercial property financing in Santa Rosa, be sure you’ve got a nice lump sum of cash to put towards the purchase. This increases your lender’s confidence that you’re committed to making the business a success. Applying for commercial property financing isn’t a yes or no process. You are allowed to express dissatisfaction with the terms of a bank loan, and request that they adjust things to your liking. If you don’t have experience with this, it’s a good idea to hire a commercial property financing expert like North Bay Property Advisors. Last but not least, it’s important to remember that you have options when it comes to commercial property financing in Santa Rosa. Even though you might have a long-standing relationship with a particular bank, it doesn’t necessarily mean they’re the best choice for your commercial financing needs. If you’d like to avoid these and other mistakes common to the commercial property financing process, contact North Bay Property Advisors today. We have experience securing funding for multiple types of properties and business types. Our streamlined lending process can get you approved and funded quickly.